What happens to your data when you die? Learn more about data after death right here. 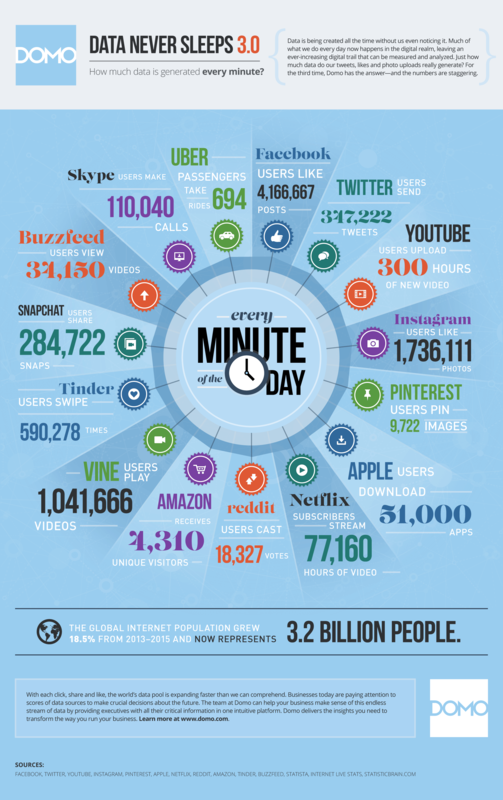 There are 1,440 minutes in one day, bringing the total amount of new YouTube video uploaded daily to 432,000 hours—roughly fifty years’ worth of data in one day on one platform. In this Internet age, users are creating a vault of personal information in the online world. But what happens to all this data when one dies? Who has the right to delete, access, or manage the data? If no one controls it, will it remain active online, ready to be swooped up and manipulated by cyber criminals and internet vandals? What’s the problem with leaving behind so much data? As a society, we have yet to fully understand the transition of large parts of our lives onto the online world. Because of this, data after death usually remains right where it was saved (which is why every year 2.5 million identities of the deceased are stolen). Even if one’s descendants have a vague understanding of who has the rights to online property, the overwhelming volume of data each of us collects over a lifetime can leave a maze of information behind. Without a plan for access and control, a large collection of personal accounts can leave online data in a perpetual state of limbo (like seeing the active account of a deceased person on Facebook). Forbes asserted in an article about death and data that rummaging through a loved one’s photos, books, and music after they die is nothing like it was even as recent as a decade ago. Whereas once upon a time, you could walk into a person’s home and physically gather his or her belongings, now you have to login into their online accounts and download their photos, videos, letters, contracts, and other information now being saved online. If you don’t have this person’s login credentials or even know which accounts this person actively used, finding data after death can be nearly impossible. Where a physical album would have held all the family photos in the past, today locating those files may mean requiring the passcode on a loved one’s laptop or tracking them down across multiple accounts like Facebook, Dropbox, Google Drive, and Instagram. In most cases, it will require direct intervention from these companies before you can gain access to those accounts, and in some cases you may even have to provide a death certificate. Is there a solution for data after death? Making a plan for data after death is necessary if you want your personal files to end up in the right hands and to avoid consequences such as inappropriate Facebook posts identity theft, and lost valuables. Some sites offer services that help you or your family and friends transition data to another person after death—like Facebook’s Legacy Contact and Google’s Inactive Account Manager. In addition to including your online accounts and login credentials inside your will, you can sign up for a service like Planned Departure, which helps you plan, store, and organize all of your online accounts from one centralized location. We share this information because it’s important to have a plan for the data we’re creating and sharing daily, both personally and professionally. If you’re interested in learning more about information management and data storage in the business world, we’d be glad to help. Contact a firm principal today.